The Egyptian postures come directly from the ancient statues found in Egypt. There are thousands of these stone statues depicting various stances and postures. Traditionally each posture is supposed to represent a spiritual knowledge or understanding. But this information has been lost over thousands of years of history. Many other religious cultures such as Buddhism and Hinduism also have very similar examples of these postures in their ancient past depicted into their artwork and statues. What is the intent, meaning and purpose of these postures? How can we rediscover and interpret this seemingly lost information? As I was going through my journey of awakening I was suggested to take up the practice of traditional Chinese Qigong. After many years of practice, I started to have these intense journeys in my dream state where I would be transported to Egypt. I found myself in a room with a teacher who would be standing in a posture. All I would do is copy the postures that were shown to me. When I did this I could feel an intense energy flow through my body. When I came back from these journeys I would record what had been shown to me. The thing that blew my mind was that I started to see the same postures I was being shown on the Egyptian statues. This is when it all started to come together for me. That the statues were showing an ancient form of Qigong and each posture had a unique story and function for the purposes of spiritual growth and attuning to the mind, body and spirit. As a spiritual practice these postures become a form of meditation and should be done in a calm and relaxed state. When you are in this meditative relaxed state, you start to sensitize yourself to how your body is feeling and how the life force energy flows through you and your environment. When entering a posture one should never over exert or stress yourself. Stress stops the energy from flowing. All of the postures are based on the natural movements your body is already used too. I have found great benefit practicing Qigong and the Egyptian postures. These systems have become a source of great inspiration in my life and has personally assisted me on my own personal energetic/healing/spiritual journey of awakening. Egyptian Postures of Power is an ancient system of personal meditation techniques that were used by the pharaohs and high priests to maintain optimal health and vitality. These postures have been used for thousands of years to bring balance to our physical, mental, emotional, and spiritual bodies with the natural life giving forces of the universe. The Egyptian Postures within this manual illustrate various different postures and movements works with our energetic systems, opens our channels, meridians, and charkas; It assists in gathering, building, and strengthening our polarities and energetic bodies, and connects us to our upper, lower, inner, and outer worlds. By doing these movements we are consciously strengthening, refining, and transforming our energies, which will enhance and bring harmony into our daily lives. The information provided herein has been spiritually channeled and refined over many years of practice. This content is shared publicly for informational purposes only. The information presented in this book is based on personal experiences, research and corroborating stories. Despite this fact, neither the author nor the publishers assume any type of liability of any kind that might result from the statements in this book. The meditations, practices and techniques described herein are not intended to be used as an alternative or substitute for professional medical treatment and care. The information in this book is intended for the further education of interested readers. Nothing in this work is intended as medical advice in any way. No one should add, alter or change medication, treatment or doctors based on anything in this work or by anyone recommended in this work under any circumstances. The information provided herein are not intended to be used as an alternative or substitute for professional medical treatment and care. This book does not attempt to give any medical diagnosis, treatment, prescription or remedial recommendations in relation to any human disease, ailment, suffering, or physical or mental condition whatsoever. These practices are not advisable to those who are pregnant or have heart conditions. Anyone who undertakes these practices on the basis of this book does so entirely at his or her own risk. When I started going through my awakening process in my early 20’s my life took a drastic change in a direction I was not expecting. I felt completely alone and not able to share what I was going through with my friends or family. I knew they would look at me differently, and thats the last thing I wanted. So I started my own personal search, luckily I had a cousin who was a channeller that I could open up to and share. From there my thirst for answers consumed my everyday mind. I started buying metaphysical book and started to become a workshop junkie. Every person that would come into town with new information or healing techniques, I signed up for and just absorbed everything I could. This is what lead me into the practises of dowsing, Qi Gong, energy healing, shamanism & crystals. It was by going to all these events and workshops that I started to meet so many people that share similar stories and interests. When I started to share my personal story with this new community of people they were fascinated with what I had experienced. This gave me more confidence to speak openly. I was then asked by one of my teachers if I wanted to speak at a conference they were organizing. I agreed because they wouldn’t take no for an answer. Looking back, I do not even know how I made it through my first talk. I was so nervous, I had written what I wanted to say on cue cards and was shaking the whole time. My biggest fear was public speaking. From that first talk, word started to spread. I started to get more and more people inviting me to talk at their local groups and conferences. I was amazed at the positive feedback that my experiences and talks gave to people. It was their positive energy that kept me going on this new path of openly sharing. It was at one of these conferences that I met Bob Mitchell (Journalist/ Author), he saw a story in me and asked if we could work together on a project. Little did I know how big that project would be. I was not expecting the work to reach such a large audience around the world. And because of that work I was then plunged into a new world of radio and video. I still look back and try to figure out how I got here, but it seems when you follow your truth the path opens in front of you. My message has never changed, its always been very simple. I was taught that there is no one coming to save me, no saviour, no guru. That I had to take responsibility in finding my own way. I could study from the teachings and wisdom from spiritual texts, teachers, guru’s, but I had to walk the path myself to find the guru within. I learnt that ascension meant the shedding of the old ways, wounds and thought forms. This can be a tremendously painful transition that can take lifetimes. We have to face our fears and experience the polarities of what life has in store for us. We have to move forward knowing that every experience positive or negative has a teaching. We have to walk these teachings in humbleness knowing that we are all part of the ebb and flow of universal laws. I am here to simply share my journey with those that resonate with it. No motives, it just feels good to speak your truth, share and meet those that can also enlighten the road ahead. Thank you all for supporting my journey. ~Len Kasten, author of Secret Journey to Planet Serpo. Buy Now on The Crystal Sun ! TORONTO, Ont. – How often have you looked at life and thought there must be more than just this? Readers will find answers to some of humankind’s greatest questions in “Forbidden Knowledge-Revelations of a multi-dimensional time traveler” – a new book written by Jason Quitt and Bob Mitchell, one of Canada’s fastest-rising UFO/Alien authors. “Jason doesn’t claim to have all the answers, but his journeys have provided an insight and deeper understanding of the role all of us play in the cosmos and our connection to alien species both good and bad, some truly helpful to humankind and others in a diabolical conspiracy that has been under way for decades with an elite group of humans,” Mitchell says. IAM 15 Minerals, 4 Crystal Intelligent Strands of Auralite, beyond Super 7 and Auralite 23. 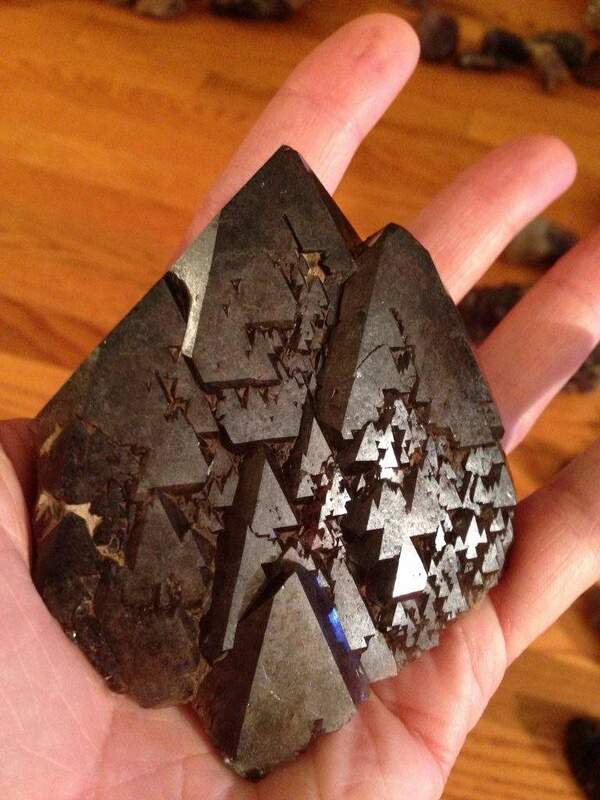 Buy A Rare Metauralite Crystal Now! You’ve heard it a million times though your life time, that we are all connected, or all is one. But we never really full experience this or understand the vast wisdom behind these statements. Before this can make sense, we need to learn and remember how we work, and how the energies on a whole work and interact with each other. First lets start with our own energy system which is made up of our physical bodies, electro magnetic fields, chakras, meridians, and energetic bodies. (emotional, mental, spiritual bodies) To have a full understanding of who we are, we need to explore these areas and even come up with a new definition of health. Because being in perfect health is not just a physical thing. There are many factors beyond the physical that effect our lives and the way we live it. When we incarnate here, we bring with us the energies of our past and future lives. And we take on the energies of parents, and ancestors. These energies are encoded in our psychic anatomy,(which encompasses our entire energetic systems). These energies determine our paths in life. It is what we refer to as KARMA. What we carry, is stored in our chakras and energetic bodies. These can manifest as addictions, obsessions, personality traits, fears, disorders, and health issues. By being incarnated here we have an amazing opportunity to shift and heal these energies that have stayed with us lifetime after lifetime. The human system is so advanced that its is built to heal, we just need to remember how to get that process started again. When we are in perfect health energetically, we naturally connect and flow with the universal energies. When we are weak or out of balance, we are shut off from these energies, and we look for other sources of energy to keep us satisfied . This takes form as Addictions, Obsessions. This is when our bodies go into fear, anxiety, depression, and health issues. when our chakras are balanced and spinning at a high level, the higher solar chakras start to activate and integrate into the 7 main Chakras. The earth is set up the same way with lay lines and portals. God said . . . “L et there be light” . . . but it took Tesla and Edison to bring that light into our homes by converting electricity (electrons) into photons to remove the drudger of house and office work. Tesla was able to transmit invisible “light” through the air opening up new vistas with the invention of radio, television and now the Internet. Visible light is a small part of the electromagnetic spectrum that we can perceive with our eyes. Scientists don’t understand how light can travel both as waves and as packets of energy called photons. Despite this we can use different wavelengths of light in different ways. We are now officially past the end date of 2012, so what did this prophesied year really mean for us? While some predicted cataclysms, others predicted a golden age of enlightenment. The personal messages that I have received may shed some new light on the whole 2012 question. The human system is a product of our environment, our beliefs, and what we attune ourselves to. Unfortunately in this modern world we have virtually lost touch with the true nature of who we are, how we operate, and our connection to the natural world. Just living in this type of society puts a huge amount of stress on our immune systems, and energetic bodies. We are virtually under attack on every level here. Whether it be all the hormones and chemicals found in our food supply; or the fluoride, chlorine, and other heavy metals in our drinking water. There seems to be an agenda out there to keep us sick and hold us hostage and dependent on the current systems. Have you ever heard of the Hamsa ? Its symbol is of a hand with an eye in the palm. This image is shared by many middle eastern countries, and is part of jewish, arab, and muslim religions. No one really knows its exact origins but it has survived the test of time. When you break down the word itself we start to see exactly what it is. In egypt, 2 energies existed before creation. Hu and Sa. Hu represents the divine will, and Sa represents consciousness. Ra who is the manifestation of Hu and Sa was divided into 14 Ka, (14 aspects of universal forces) Also remember the story of osiris was cut into 14 pieces. Hu and Sa was chanted as a mantra HumSa, because they say that the vibration of this mantra is the universal sound of the human breathing in and out. So the symbol of the HAMSA makes perfect sense. The 14 aspects of the universal forces, the divine will and consciousness, it reflected in our hands ! This is the bases for all the Mudra meditations found all of the world. By holding mudras, or even hold your fingers / pads of fingers, you are connected and going into resonance with your divine will and consciousness. The pyramid were even is based on this sacred knowledge. When this ratio is divided, you get the second series of the fibonacci series and you get Half of pi. If you take the pyramid and give it a scale of 1, then you can see that the kings chamber is at exactly 0.44 on the 0.88 axis. 440 hertz is perfect pitch of A which all instruments are tuned too. The queens chamber sits at a value of 0.196 which is a G, and is also 14×14. These ratios of pi and the fibonacci series not only are found in the pyramid, but literally found everywhere in the natural world. Leonardo Devinci also used these ratios to create the correct proportions of the human body in his famous work the Vitruvius man. The body is literally a reflection and transmitter of universal laws and energies. While involved in the study of the mysteries of ancient egypt, I remember coming across a curious piece of information that has been sitting in the back of my mind ever since. This information had to do with ancient egyptian measurement systems which included their pyramid inch, sacred cubit & royal cubit. These numbers always stuck with me and drove me to find out how and why they choose such numbers and what made them so special. The one measurement that intrigued me was the royal cubit. Supposedly this number changed from pharaoh to pharaoh because it was the sacred measurement of the pharaoh himself. How they figured out this number was by measuring the pharaohs forearm from the elbow to the wrist. Once this number was figured out it was utilized in the construction of sacred objects and structures to honour the pharaoh. This grid is the fabric of everything; it is the template that all structures and life forms are born from. The wisdom of this grid has been with us for a very long time passed down generation to generation through symbols, myths, and teachings. One of the most amazing of these symbols that have survived for thousands of years is the flower of life. This is a perfect representation of the holographic nature and structure of creation, by mapping the points of these circles we start to create all the geometric structures that are inherent in all life. This is the wisdom behind Metatrons cube, which has the 5 building blocks of the platonic solids in perfect order and symmetry within the flower of life. As I was going through my healing journey I was suggested to take up the practice of traditional Chinese Qigong. Egyptian Postures of Power is an ancient system of personal meditation techniques that were used by the pharaohs and high priests. These postures have been used for thousands of years to bring balance to our physical, mental, emotional, and spiritual bodies with the natural life giving forces of the universe. The Egyptian Postures within this manual illustrate various different postures and movements that works with our energetic systems, opens and clears our channels, meridians, and charkas; It assists us in gathering, building, and strengthening our polarities and energetic bodies, and connects us to our upper, lower, inner, and outer worlds. By doing these movements we are consciously strengthening, refining, and transforming our energies, which will enhance and bring harmony into our daily lives. Anyone who undertakes these practices on the basis of this book does so entirely at his or her own risk. Jason is also the author and teacher ofÂ “Egyptian Postures of Power” & “The Yosef Codes”Â methods of personal healing and practice.Â As a channeller of universal and dimensional energies of healing, Jason combines these methods and modalities of energy medicine, shamanism, and dowsing to assist those on their own personal paths of healing and enlightenment. Jason is currently workingÂ onÂ Tesla Magazine, TeslaMania Exposition & The Healing Field Documentary.